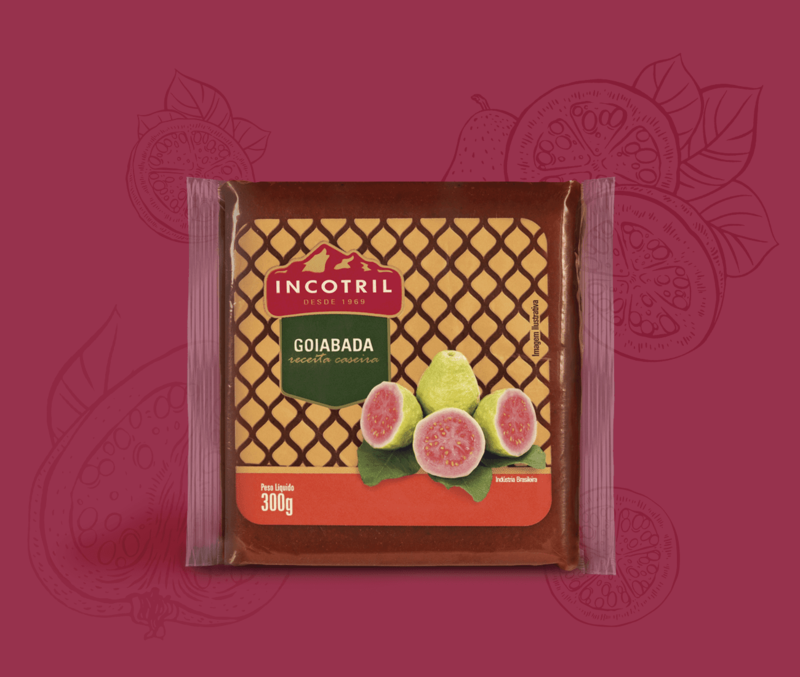 As of the second half of 2018, Incotril inserted the cutting guava as a new product in its catalog. 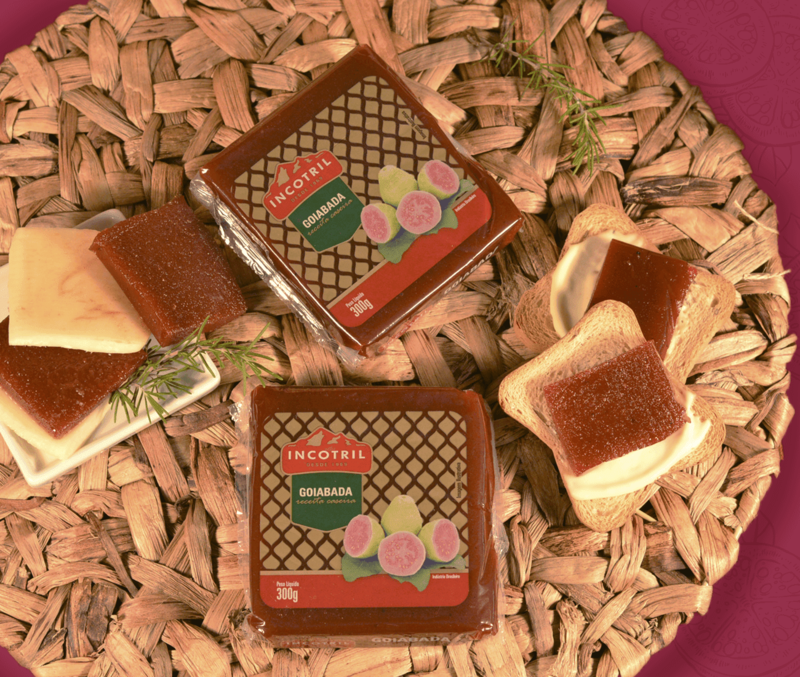 the creation of its visual identity came with the objective and challenge of positioning the product in front of the consumers, leaving it attractive and competitive in the gondolas of the supermarkets. 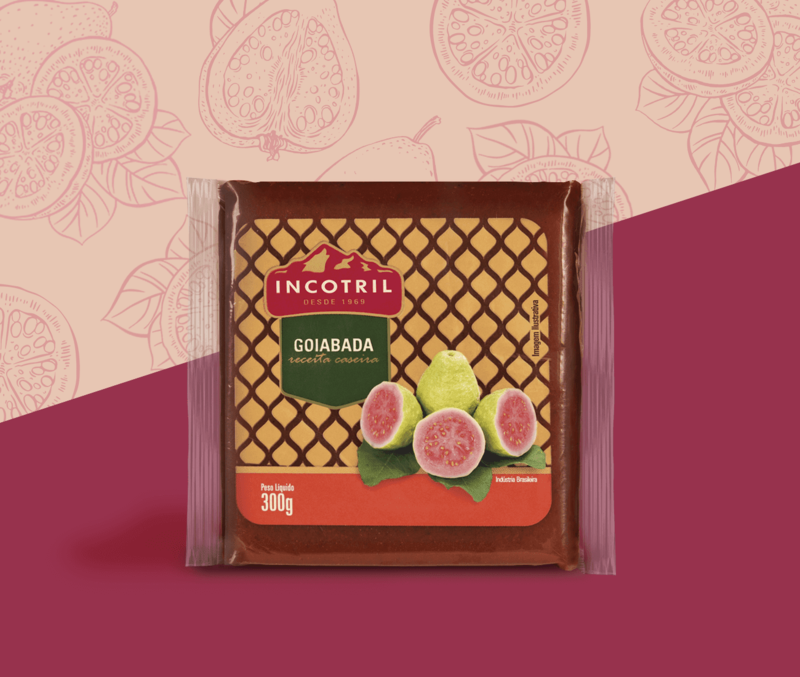 To develop the project, we seek to understand in depth the process of manufacturing, quality and storage of the product - fundamental aspects to predict which type of packaging is ideal for the product. Another fundamental point was to understand the interaction of the consumer with this type of product. 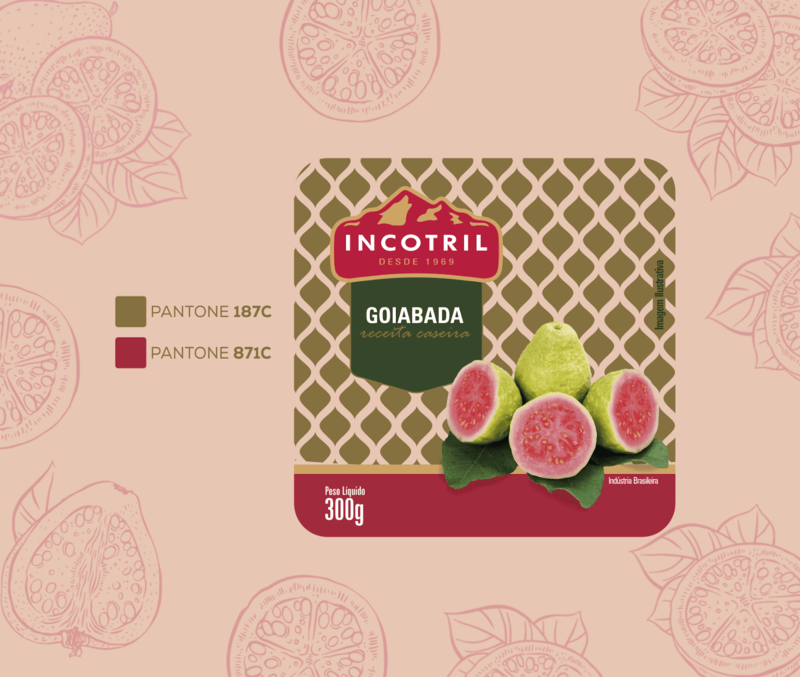 only with a complete immersion, it was possible to arrive at a final result that provided a package with the identity Incotril, bringing colors and refined elements, which represent when consuming all the differentiated quality of the product.